Look no further, the x39 is the absolute best tactical sniper thermal sight available. Long range target acquisition, military aircraft aluminum constriction make it the scope of choice for high grade precision targeting in military, defense or commercial applications. There are many thermal imaging rifle scopes to choose from today getting one that offers you reliability, robustness, extended long range, precision accuracy, ultra FPA sensitivity and ballistic features are hard to find in a single all weather unit, the X39 offers you all of these advanced useful features normally found with units costing double. The X39 clip on FLIR scope is a Military grade IR rifle sight that easily clips on your rail in conjunction with your day optics to provide increased zoom and turn any standard day scope into a night vision scope. Contact us for pricing & availability today! 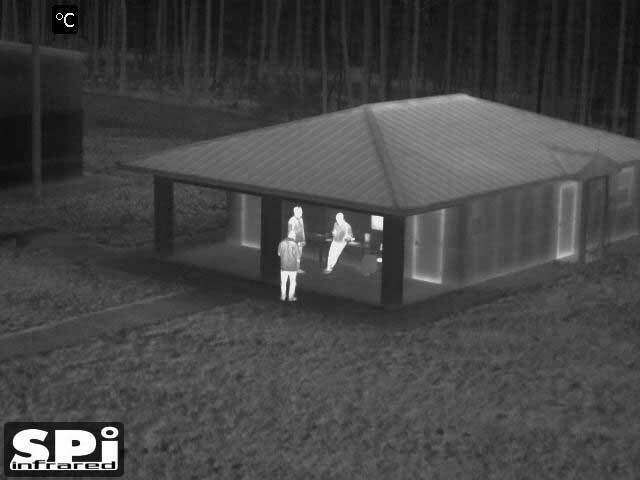 The X39 clip on FLIR thermal scope adds increased zoom night vision capability to your day scope, providing excellent situational awareness in any conditions; complete darkness, fog or smoke. 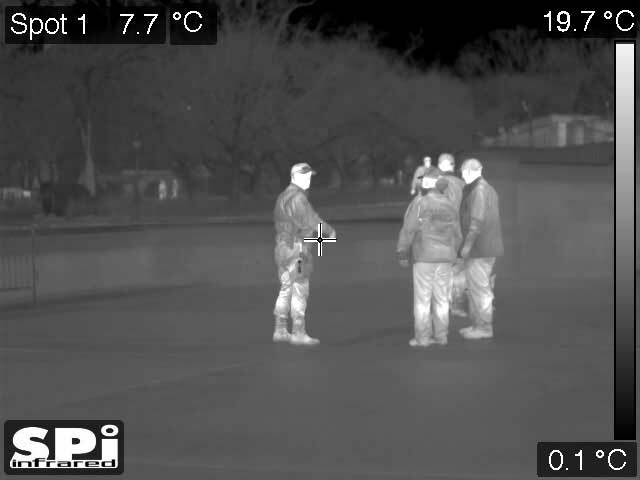 The system also has some new and unique features not found in other popular clip on FLIR thermal scopes on the market today, making it a desirable battlefield tool in modern combat that gives you the extra edge over the enemy you’ve been looking for. The X39 is compliant with MIL-STD-810 standards, ensuring seamless operation. The unit is waterproof in 20 meters of water for up to 2 hours and is shock/recoil resistant to even heavy hitters like the .50 BMG. Included is a built in Geo compass, multiple on screen / use selectable profiles crosshairs, pallets, environmental enhancement features, accusight precision windage and elevation ballistic sighting function. LRF laser rangefinder and other components are available and fully compatible with the X 39 thermal scope. The X39 is Bluetooth® capable, which means it will open the door to a wide array of applications when interfacing with smart phones. 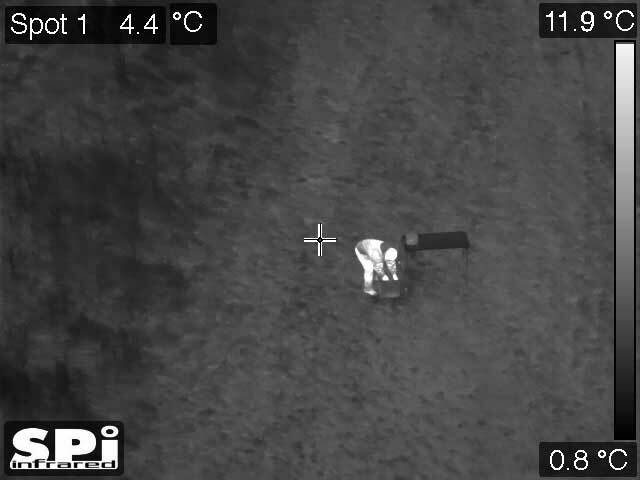 It also means that the scope will stay up to date as current technologies evolve, it won’t become that relic you have to unload on ebay because you want the latest and greatest in clip on thermal scope technology. The X39 is already there. The X39 utilizes an innovative dual-option battery feature, which allows you to choose between running 3.0VDC 123A batteries or 1.5VDC AA batteries, 4 each, all preloaded in a unique cartridge for deployment in an instant. The batteries also also all facing the same direction to avoid confusion when reloading your power source. That’s right, the X39 takes all the nuisance out of your operation to cut down on wasted time and optimize your performance. 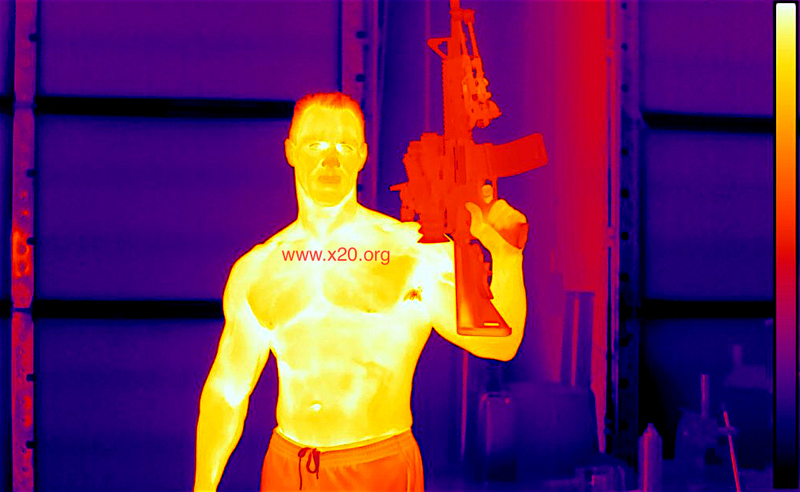 X39 Clip On FLIR Thermal Imaging Rifle Sight mounted on a rifle. Shown with Night vision goggles and TMSLS laser rail system (not included). 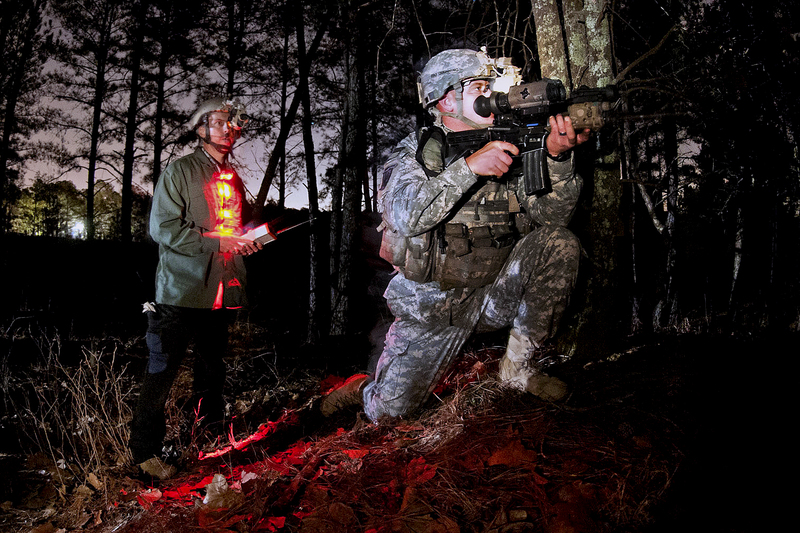 The X39 Thermal Imaging Weapon sniper Sight features an uncooled LWIR WEAPONS GRADE thermal imaging sensor for 24/7 operation, including viewing through a variety of environmental obscurants. 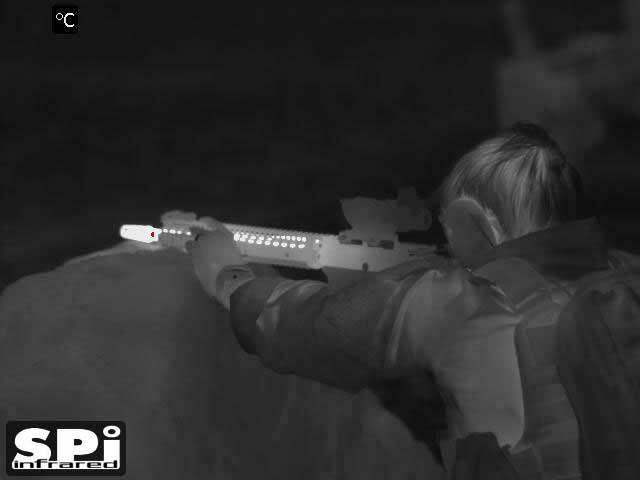 The SVGA 880 x 640 color all weather OLED display provides clear crisp viewing, while a variety of reticle colors and patterns allow for accurate target acquisition. 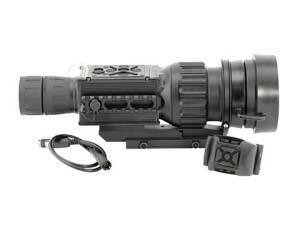 The x39 thermal scope is designed, assembled and Made in the USA.